Fill out the form or call us at 1-866-343-6404 to speak about getting payments from Monsanto. We have had success in representing thousands of individuals who were made sick from toxic products. Our experienced attorneys have helped clients across the country recover over $500 million. 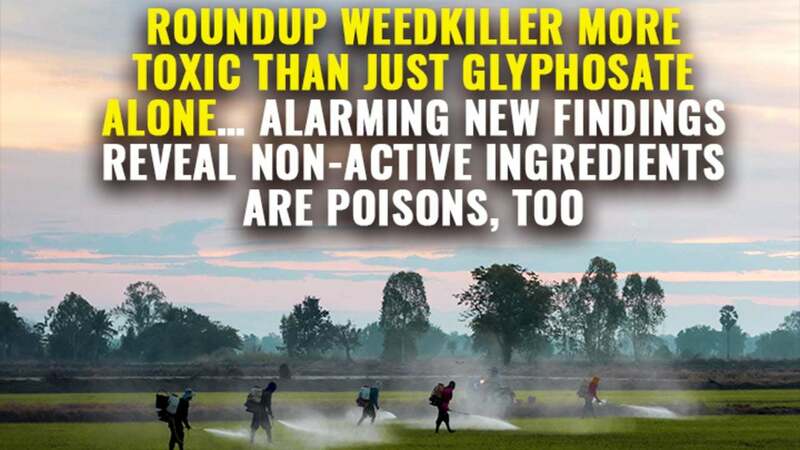 Roundup is a weed and grass-killer that has been linked to cancer. Over 4,000 lawsuits accuse Monsanto of failing to warn that glyphosate and other toxic chemicals in Roundup might cause non-Hodgkin’s lymphoma. We are currently accepting Roundup induced injury cases in all 50 states. 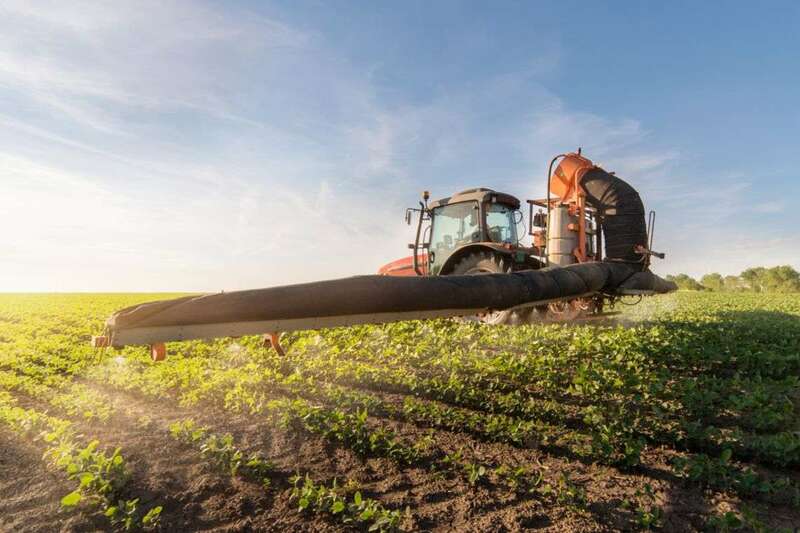 If you or somebody you know was diagnosed with lymphoma after using a glyphosate herbicide, you should contact our lawyers immediately for a free case consultation. Please use the form below to contact our Toxic Chemical Litigation Group or call us toll-free 24 hours a day at 1-866-343-6404 . 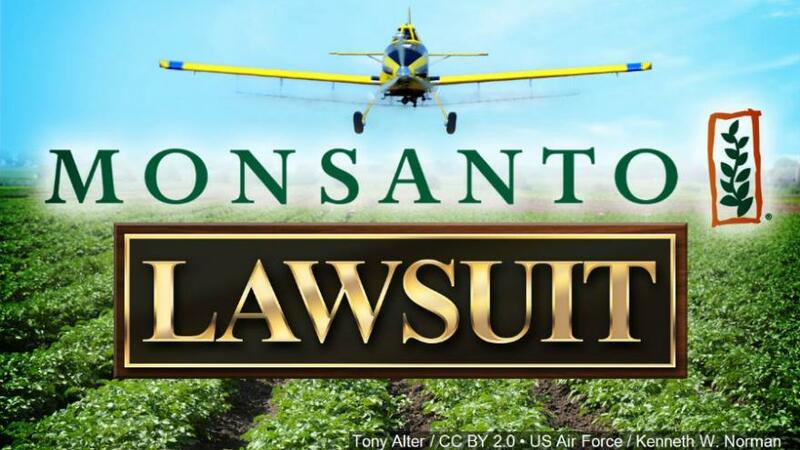 July 11, 2018 — A judge has allowed hundreds of lawsuits to move forward against Monsanto for concealing the potential cancer risk of Roundup weed-killer. Monsanto has been banned from the European parliament after refusing to attend a hearing into evidence that the company manipulated safety studies involving Roundup. 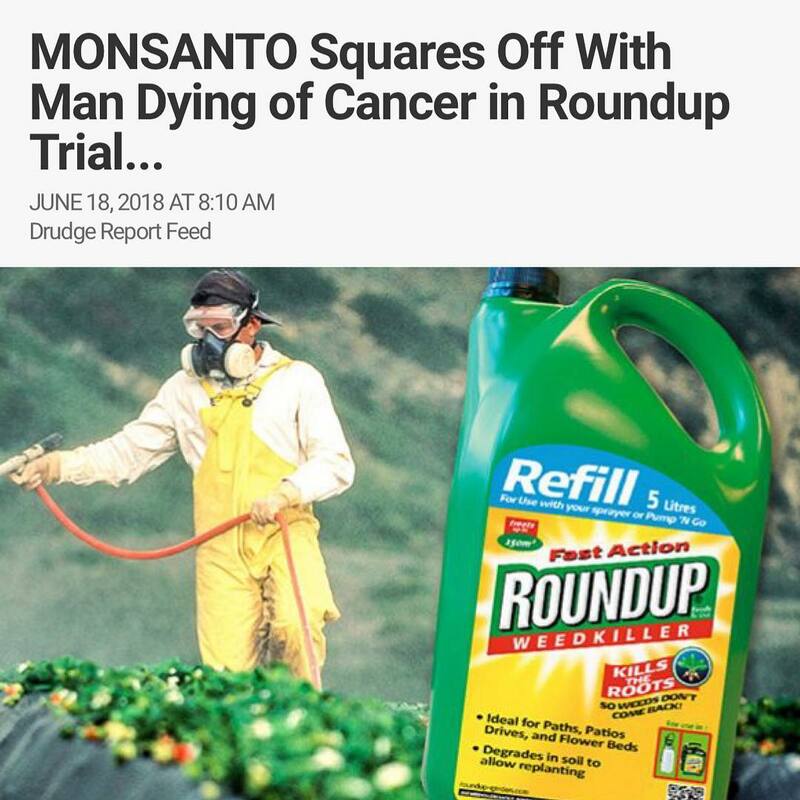 In August, lawyers for people with cancer released documents proving that Monsanto’s employees were secretly involved in editing, organizing, and reviewing several “independent” studies on Roundup side effects. California will become the 1st state to require cancer warning labels on Roundup and other glyphosate-based herbicides. Monsanto will have roughly 1 year to add “Proposition 65” warning labels to Roundup after glyphosate is listed as a carcinogenic chemical on July 7. 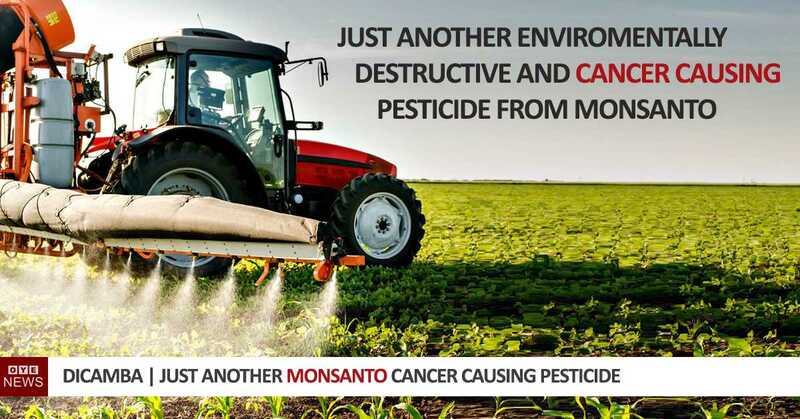 The International Agency for Research on Cancer (IARC), a division of the World Health Organization, declared the herbicide Roundup (glyphosate) as a “probable human carcinogen” in March 2015. The warning was based on “convincing evidence” that glyphosate causes cancer in laboratory rats and mice. In humans, there is “limited evidence” linking Roundup and cancer, including non-Hodgkin’s lymphoma and DNA/chromosomal damage. Occupational and Environmental Medicine (September 2003): American study of over 3,400 farmworkers in the midwest found higher rates of non-Hodgkin’s lymphoma associated with glyphosate exposure. Cancer Epidemiology Biomarkers (November 2001): Canadian study found a dose-response relationship between glyphosate exposure and non-Hodgkin’s lymphoma. The number of lawsuits has grown significantly since April 2016, when a federal judge refused to dismiss a lawsuit, paving the way for more cases to be filed by people who developed non-Hodgkin lymphoma. In October 2016, dozens of Roundup lawsuits were centralized in one federal court in California. As of March 2017, there approximately 700 lawsuits in St. Louis, Missouri state court. The nationwide litigation has been are centralized in Multi-District Litigation (MDL No. 2741) under U.S. District Judge Vince Chhabria in the Northern District of California — In RE: Roundup Products Liability MDL. The family of a California farmer who died of non-Hodgkin lymphoma has filed a Roundup lawsuit against Monsanto. The case is unique because the plaintiff, Anthony “Jack” McCall, did not use any other pesticides or herbicides on his farm, never smoked, stayed in shape, and had no history of lymphoma. 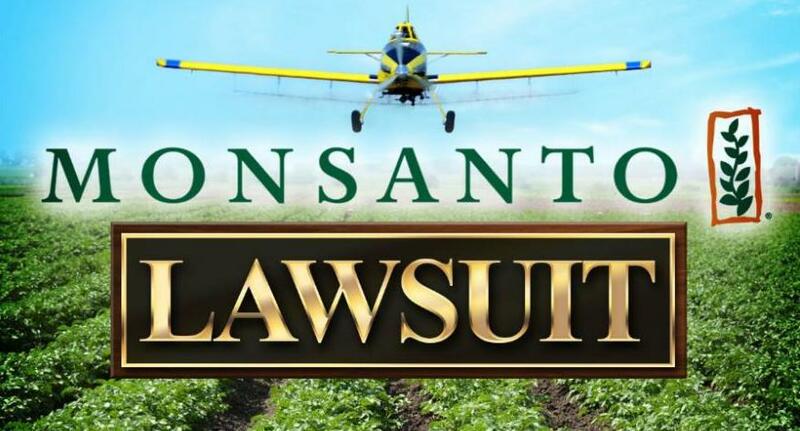 The lawsuit (PDF), McCall v. Monsanto, was filed in the U.S. District Court for the Central District of California (Case No. 2:16:cv-01609) on March 9. In 1985, the U.S. Environmental Protection Agency (EPA) warned that glyphosate was a possible human carcinogen. In 1991, the EPA reversed its decision and said there was a lack of “convincing carcinogenicity evidence.” However, in the last two decades, evidence linking Roundup and cancer has grown considerably. 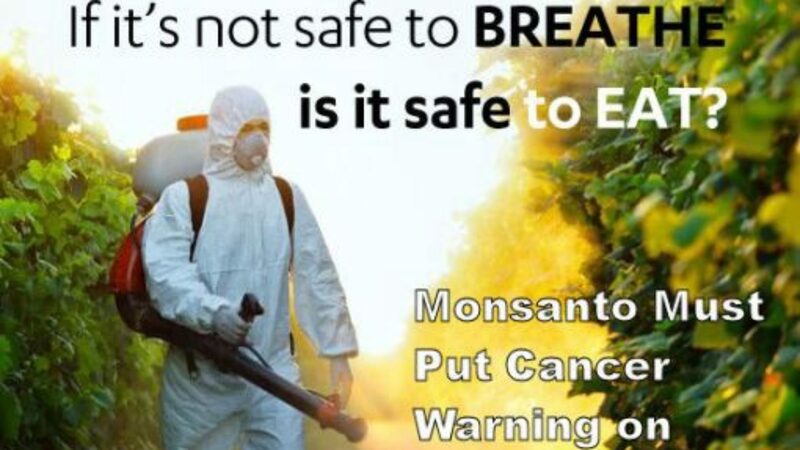 Roundup lawyers have released evidence supporting a conspiracy between the EPA and Monsanto to downplay the risk of cancer. It all started with a letter from a toxicologist at the EPA who listed 14 ways Roundup could cause cancer and accused Mr. Jess Rowland, the EPA official in charge of reviewing Roundup, of intimidating staff to change reports in favor of Monsanto. Monsanto’s studies were used by an ex-EPA official, Mr. Jess Rowland, who determined that Roundup does not cause cancer. His committee’s report was “leaked” online and used by Monsanto to defend Roundup just 6 weeks after Roundup was re-classified as a carcinogen by the IARC, prompting speculation that Mr. Rowland was working with Monsanto. Now we have evidence. Mr. Jess Rowland tipped off Monsanto months before the IARC re-classified Roundup, giving the company time to prepare a public relations assault. Other government agencies immediately became concerned and said they would investigate. “If I can kill this I should get a medal,” Mr. Rowland told his contact at Monsanto in April 2015. In January 2016, Monsanto filed a lawsuit against the state of California after it tried to require the company to label Roundup as a possible carcinogen under Proposition 65. In January 2017, a judge rejected the lawsuit, paving the way for California to become the first state in the nation to require warnings. There are several studies linking glyphosate and cancer in animals. Two studies involving male mice who were exposed to glyphosate reported higher rates of cancer, including renal tubule carcinoma and haemangiosarcoma — a rapidly-growing, highly-invasive sarcoma in the lining of the blood vessels. In January 2017, Nature published a study showing that ultra-low doses of Roundup caused serious liver disease in female rats who drank it in their water for two years. The doses were comparable to what is found in some tap water that people drink, but much lower than what regulators allow. What Ingredients are in Roundup? 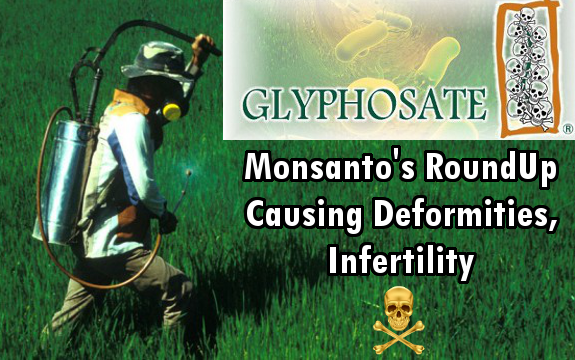 Roundup contains glyphosate, a chemical that blocks an enzyme plants need to survive. The Label (PDF) and MSDS for Roundup Original indicates that 41% is glyphosate and 59% is “other ingredients” that are not named. Most formulations of Roundup contain a soap-like chemical called POEA that helps glyphosate get into the plant. 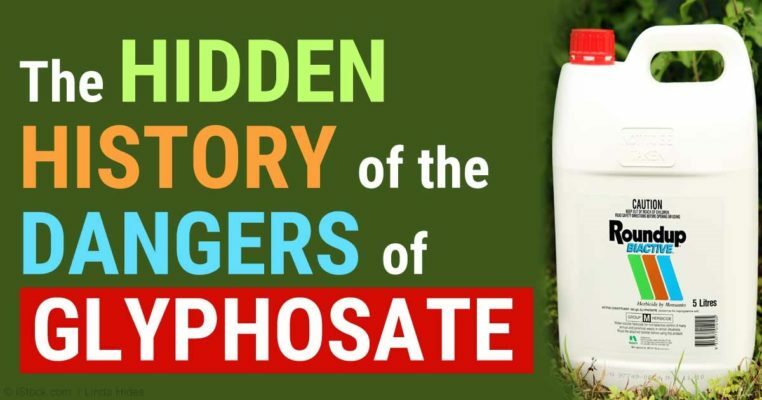 The active ingredient, glyphosate was commercialized by Monsanto in 1974. It works by specifically inhibiting an enzyme that is essential to plant growth and life. Roundup also contains other chemicals that help glyphosate get into the plant. For example, most formulations of Roundup contain a chemical surfactant called POEA that is known to be toxic to aquatic animals. Monsanto insists that glyphosate alone is harmless. However, the combination of POEA and glyphosate is much more hazardous than glyphosate on its own. 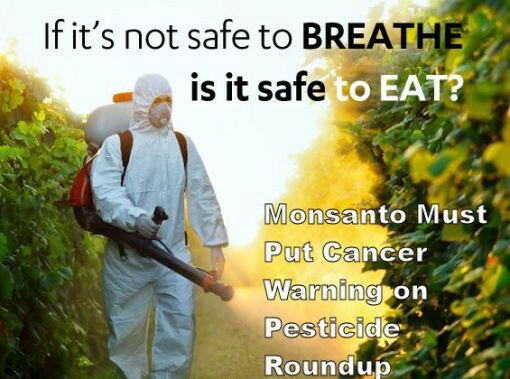 The popularity of Roundup exploded in the mid-1990s, when Monsanto genetically-engineered (GMO) corn, soy, and cotton seeds to survive being sprayed. This allows farmers to spray Roundup over entire fields to kill weeds without killing the crop. 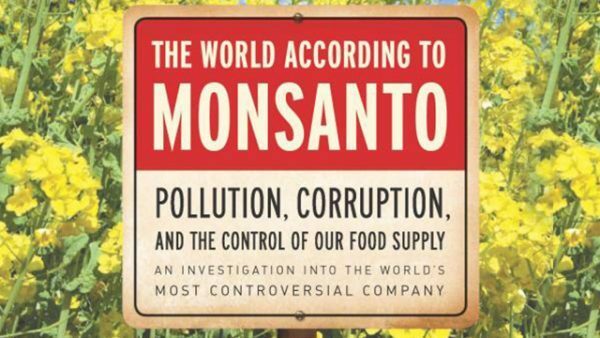 Roundup now generates $5 billion in yearly revenue for Monsanto. Is Roundup In My Food? Residues of glyphosate have been found in oats, wheat, honey, organic eggs, soy coffee creamer, and many other foods. Roundup is used on many backyard gardens, but most of it is used in commercial agriculture. 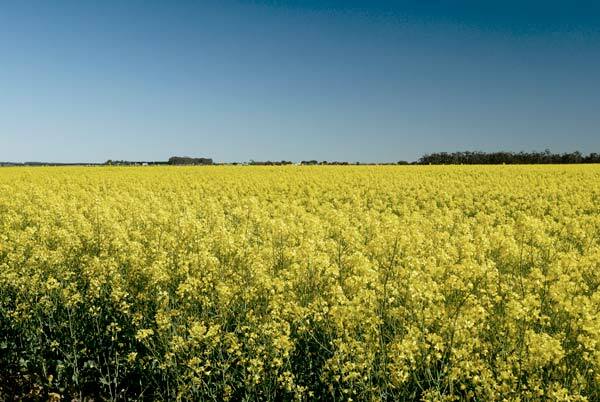 Roundup is sprayed on over 80% of croplands in the U.S., including crops like alfalfa, canola, corn, cotton, sorghum, soybeans, and sugar beets. Many of these crops are grown to feed animals like cows, pigs, and chickens. Roundup is sometimes sprayed on wheat to dry it out just before harvest. In February 2016, the FDA said it would start testing for Roundup residue in food. In November 2016, the FDA abruptly ended plans to test food for Roundup residues due to “disagreement and confusion” about how to conduct the tests across 9 laboratories. Every year, the USDA tests thousands of samples of food for hundreds of different pesticides, but not glyphosate. Only in one year, 2011, did the agency test for glyphosate. Out of 300 soybean samples, 271 had residues of glyphosate between 0.26 to 18.5 ppm, below the EPA-set tolerance of 20-ppm. In January 2016, FDA researchers tested about 10 samples of American honey. All of them tested positive for glyphosate, and some had twice the legal limit of 50 parts per billion (ppb) set in the European Union (EU). The problem is that bees are visiting fields that have been sprayed and carrying Roundup back to their hives. In August 2015, a bill was introduced in Hawaii that would ban spraying of Monsanto’s weed-killer Roundup and other herbicides on public roads, sidewalks, parks, waterways, and more. 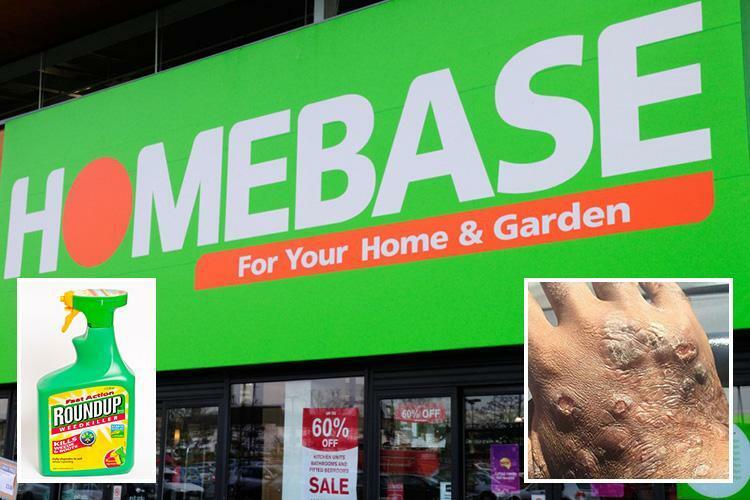 In June 2015, Roundup was banned from home-gardening centers in France just weeks after it was declared a “probable” human carcinogen by the UN. That same month, Roundup was declared a carcinogen by Denmark’s Working Environmental Authority. 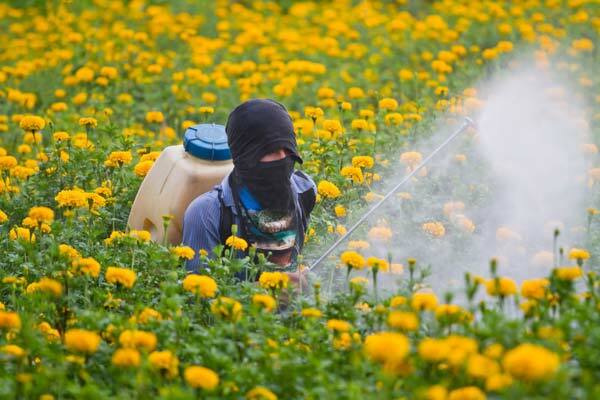 France will vote to gradually phase out the agricultural use of Roundup (glyphosate) by 2022 over concerns that the weed-killer may cause non-Hodgkin’s lymphoma. We are currently accepting Roundup induced injury cases in all 50 states. If you or somebody you know was diagnosed with non-Hodgkin lymphoma, you should contact our lawyers immediately for a free case consultation. Please use the form below to contact our Product Liability Litigation Group or call us toll-free 24 hours a day at (866) 920-0753. If you believe your crops were damaged by dicamba, you may be at risk of significant yield loss. Contact us today to find out if you can file a lawsuit and hold the manufacturers of dicamba responsible for the damage caused to your farm. If your crops were damaged by dicamba this year you could experience a significant yield loss as a result. Our product liability lawyers want to hear from you. 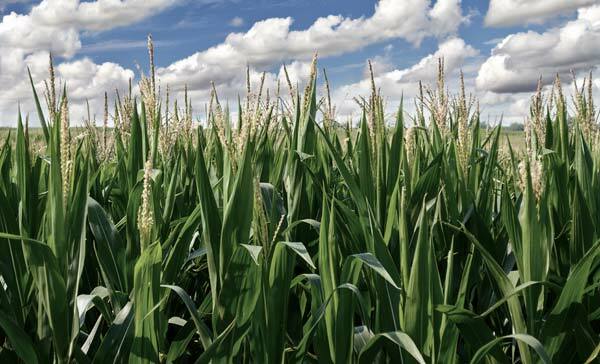 Federal crop insurance won’t cover the losses that result from chemical drift and a lawsuit may be the only way to recover compensation. This is a non-attorney advertisement; please be advised that certain states may consider this an attorney advertisement paid by a non-attorney spokesperson. Consumer Protection HQ is an advertising group that represents lawyers advertising their services. It is not a law firm or lawyer referral service and does not receive any legal fees from your potential claim. No representation is made that the quality of the legal services to be referred is greater than the quality of legal services performed by other lawyers. You should not rely upon any information herein as legal or medical advice. You should consult your physician before you stop taking your medication. The choice of a lawyer is an important decision that should not be based solely upon advertisement. By clicking above, you agree to receive telephone calls, emails, voicemails and text messages by one or more legal service providers, even if you are on the “Do Not Call” registry, for the purposes of determining case qualification. You also agree that you are not currently represented by another lawyer for your legal matter. I understand I may revoke my consent to be contacted at any time and that my information is not sold or disclosed other than the purpose to determine the viability of my claim. Consumer Protection HQ is a matching service only and is not otherwise affiliated with or responsible for the representations or services provided by companies with which you are matched. Legal services for your matter may not be available in all states. All calls are confidential. Prior results do not guarantee a similar outcome. Free background information is available upon request. I freely submit my information and agree to be contacted by one or more members of the legal time to determine whether I might qualify to participate in this lawsuit.